Bloggers spend over $105 million every single day on Facebook alone. That’s over a hundred million dollars just to get noticed. What if there was a way to increase website traffic absolutely free? In this video, I’m going to show you five SEO strategies to get noticed and get more traffic that won’t cost you anything. In fact, I’ve used these five steps to search engine optimization to rank on Google and consistently get over a hundred thousand visitors a month. This video is part of our five-video blogging tutorial, a step-by-step to starting a blog from getting online to making money fast. Click here and get a free checklist of everything you need to start a profitable blog. Why is SEO Important for Bloggers? One of the worst parts about blogging, the most frustrating, is that it’s not enough to create excellent content. Ernest Hemingway, writing his best material, wouldn’t make a dime as a blogger unless he could get people to visit his website. We already did our social media strategy and a lot of bloggers are all-in on social but getting ranked on Google is where it’s at. Not only is search a potentially huge source but it’s also constant. You don’t have to hang out and constantly be engaging with your community like you do on Facebook or Twitter. You don’t have to constantly be throwing money at Facebook ads or other social sites. Once you get a post ranked in search, that position is durable and you’ll get thousands or even tens of thousands of visitors every month. That’s free, constant and consistent traffic. As someone that runs four blogs, that’s something I get excited about and I’m excited about sharing it with you today. Let’s start with some basic points about SEO and then I’ll share those five techniques you can use to increase your blog traffic. I’m putting together a complete blogging plan from getting online to getting easy traffic through social media, all in this free video series. Click here to watch the entire series from start-to-finish. I’m posting the videos over the next week but you can get that checklist with everything you need right now right here! Now, Search Engine Optimization is what you do on- and off- your site to compete for search traffic and while Bing, Yahoo and other platforms can bring you some visitors, we’re really talking about Google. Google controls over 88% of the search market with no one else getting more than a four percent share. It’s interesting that the largest non-Google search engine, YouTube, is actually owned by Google as well. 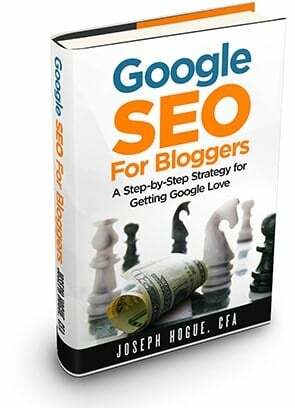 So we’re going to be talking about getting your blog to the top of Google so you get free website traffic every day and every month. There are two more things you need to understand about SEO before we get to those five techniques though. First is that Google ranks pages, not websites. This might sound like a trivial distinction but it’s actually really important for how you go about your SEO. So when you search on Google, what do you see? You see a lot of articles and pages, right? Generally you won’t see the homepage of a website ranked on Google, it’s going to be pages on that website. This is going to be important because you want to spend your SEO time trying to rank individual pages. Each link you get to an individual page is ultimately going to help your entire blog rank better but it’s the individual pages that you want to rank. You want 100 different pages ranking on the front page of Google rather than just your blog’s homepage so you get visitors across all those pages. Second here is that there are two parts of good SEO, on-page and off-page. On-page SEO is everything you do directly on your article and I’m including here the things you do on your entire website to rank. These are going to include writing so Google understands what the page is about as well as the general reader experience and your site speed. That on-page SEO is important and we’ll touch on it but far more critical is going to be your off-page SEO. This is the process and what you do to get links from other websites. These links are a signal of authority to Google, they say that someone thinks your page is important enough that they’re providing it as a resource to their visitors. Get enough of these and you’ll shoot to the top of Google and stay there. So that’s the big picture definition of SEO and the way you rank a post or page is going to be to target specific keywords or phrases. We already talked about keyword research in the second video in the series and I want to get to those five techniques. But before I get a hundred comments on why it took so long to get to the meat of the video, let’s get started on those five SEO techniques to boost blog traffic. We’re going to start off with a few off-page techniques so these are going to be ways to get quality links to your blog as a signal of authority and to really jumpstart your Google rankings. Understand that we’re not talking about spammy placed links like commenting on other blogs or directories or any of the hundred strategies you see online. Commenting on another blog serves a purpose but the link is next to worthless. All those directories and websites that let you link to your blog can be worse than worthless because Google sees them as spam so it can actually demote your website, punish it for the bad link. What we’re talking about here is what’s often called, earned links. These links are earned because of the quality of your content. And while many of your links are totally just someone finding your blog, liking the content and giving you a link, there are ways to nudge them in the right direction and getting many more links. First is just going to be to put link-worthy ideas on your content calendar. Remember, we talked about a content calendar in the second video, a formal schedule of the types of posts and topics you want to cover. So here we’re saying that there are just some types of articles that attract links like a magnet. They might be a little more in-depth that regular posts so you might not do them every article you publish but I’d say at least once or twice a month. Some of my favorite link-worthy types of posts include interviews with big names. It might take a little while to build a relationship with popular people in your niche through commenting and sharing their posts or social media posts but these interviews are going to get links from day one. Another type of post that does extremely well are super-lists, so we’re talking things like 100 Ways to Make Money or 73 Fun Kids Games. The best part about this one is that you can continuously add to the list so maybe publish it initially with twenty or thirty ideas but then add ten or so ideas every few months. These are also really easy to put together because it’s basically just a few hundred words for each of the listed items. Next is step-by-step tutorials on anything. These need to be long posts, like over 5,000 words but are like link magnets. Think about it. People want to tell their readers how to do something but most don’t want to go through a 5,000-plus word tutorial on exactly how to do it. Instead, they link to your article as that ultimate resource. Annual surveys or reports are another great link-worthy idea. You can reach out to people in your topic and use Google Forms to create an easy questionnaire. These are great because they give you information nobody else has so if they want to share it, they’re gonna need to reference it with a link. So that idea of link-worthy ideas is kind of a combination of on-page and off-page SEO, maybe a grey area. You’re not necessarily doing anything to get the links from other sites, though you can add this technique to some of the ideas we’ll talk about next for just amazing website traffic growth. But link-worthy ideas are really more about creating unique content that people can’t help but reference and link. Now let’s talk about my favorite off-page link-building technique called broken link-building. We’ve all clicked on a link and gone nowhere, right? You click expecting to go to another page and end up seeing a blank page. 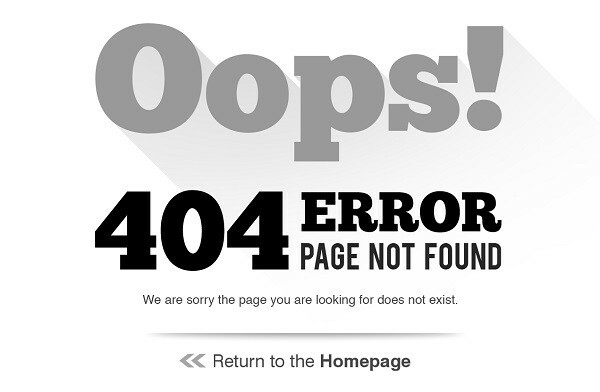 Now even if the blog has a great 404 page set up with links and a menu, this is still hugely annoying. But it happens a lot. Whether it’s a website or a blog or whatever, pages and whole sites get deleted all the time. It’s the reason I suggested getting the free broken link checker plugin in our first video on starting a blog. For you though, a blogger trying to increase your search rankings, these broken links are a gold mine. You can actually get these other websites, the ones linking to that page that doesn’t exist, you can get them to change that link to point to your blog and get instant authority from Google. This link-building technique is hugely effective too. 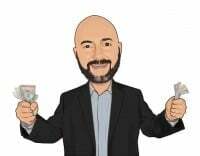 I pick up from ten to 20 links every time I use it and can send a page immediately to the top of Google and it’s because it’s a win-win for everyone. I’ll go over the step-by-step next but the idea is that you’re going to be emailing someone that has a broken link on their website. It’s a friendly heads-up to one of their links that leads to a dead page and a note that, Oh…I have something that works great where that link is, some solid information that you can refer to as you fix the link. You’re helping them with a problem on their site and making it easy to still provide their readers the same referenced information through that new link to your blog. So here I’ll share the process and it’s pretty detailed so you might need to watch the video a couple of times. Please though, don’t get put off by the process because this technique will be worth every minute and will drive thousands of visitors to your blog every month. First you need to find those broken links on the internet. So start with a post on your blog you want to promote and pick out a few keywords. Then you’re going to add these ten phrases to each. 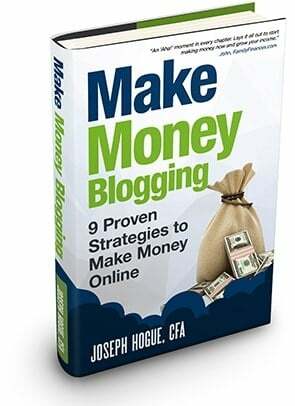 Each of these combinations is going to be a search on Google so for example if one of my keywords is make money blogging then I would run a search for make money blogging resources, then make money blogging tools and so on. You want to copy the top 20 or 30 search results for each keyword combination so we’re talking hundreds of search results. You can download the free MOZbar extension for Google Chrome and it will download the search results into a spreadsheet. Now you’re going to check all these pages and the pages they link to for broken links. Many of these sites are going to be long list posts with dozens of links so you’re really able to find bulk broken links with some of these. What you want to do though is use some kind of link checker software like Screaming Frog to do this automatically. You definitely don’t want to check all these individually. Screaming Frog costs about $200 for an annual license but you can also run a check on 500 sites for free. I’d say even the annual license is worth it because I use it for site audits, broken link-building and a lot of other SEO techniques. You’ll upload your list of Google search results as a text file and the Screaming Frog program will check all these and all the links on each page to see if they’re broken. Then you just click on Bulk Export, Response Codes and all the 4xx links, that’s those 404 broken pages. I did a quick test on just 40 search results and found 13 broken links in five minutes so imagine what you can do with that list of 900 search results from three keywords and those 10 searches each? From your list of broken links, you’re going to delete out pages like forums and social media pages to narrow it down to just broken pages that were legit blog posts. There’s actually a way you can see what these pages looked like before they were deleted. This is going to help you know that your blog post is a good substitute for someone that was linking to this now-deleted page. Using the Internet Archive Wayback Machine, it’s a website that constantly takes a screenshot of everything on the web, with this you can see what those broken pages looked like when they were still live. 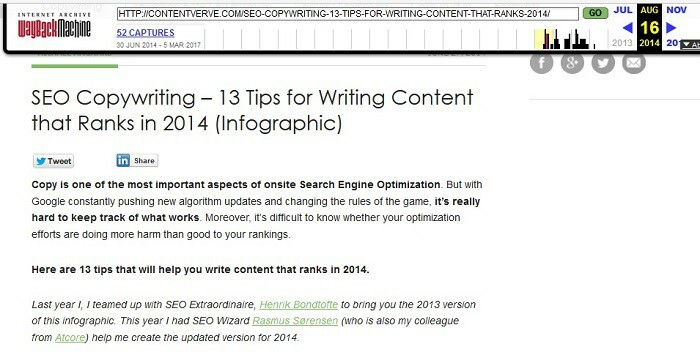 So if I take one of those broken links I found and plug it into the site, I find that it was 13 Tips for Writing Content. So this is a quality, legit post that I’m sure got a lot of links but now the page is deleted and all those links are broken. Even if I don’t have something that’s a good substitute for this, I can write something up and get those links swapped out to point to my website. There are just two more steps here so stick with me because like I said, this is a really amazing SEO technique that is going to be worth your time. Next, you want to find all the websites that were linking to these broken pages you’ve found. Some of these quality pages now broken like that 13 Tips article could have dozens or even hundreds of links pointing to it. So we can use another website and I’ll use Ahrefs.com but you can use any link tracker website like MOZ, that’s M-O-Z.com or SEM Rush. With the Bulk Analysis tool on Ahrefs, you’re going to put in the URLs to all these broken pages you found and it’s going to give you a list of all the websites with a link pointing to these broken pages. For example, checking that 13 Tips article from before, I found 54 websites that were still pointing to it with a link. You can download this list and then just go to each site to find contact information. Just a quick email letting them know that a page on their website links to a broken page and that you have a page on your website that’s similar to what they were linking to. Like I said, this is really a win-win for both websites because they get a heads up on their broken links and you potentially get it replaced with your content. Not every person your email is going to change their link out and point to your site but the response rate is excellent on this one. On other SEO strategies, you might get three or five percent response if you’re lucky. With broken link-building, you can easily get 10 or 15 percent of these broken links changed to point to your website for an immediate jump in your search traffic. 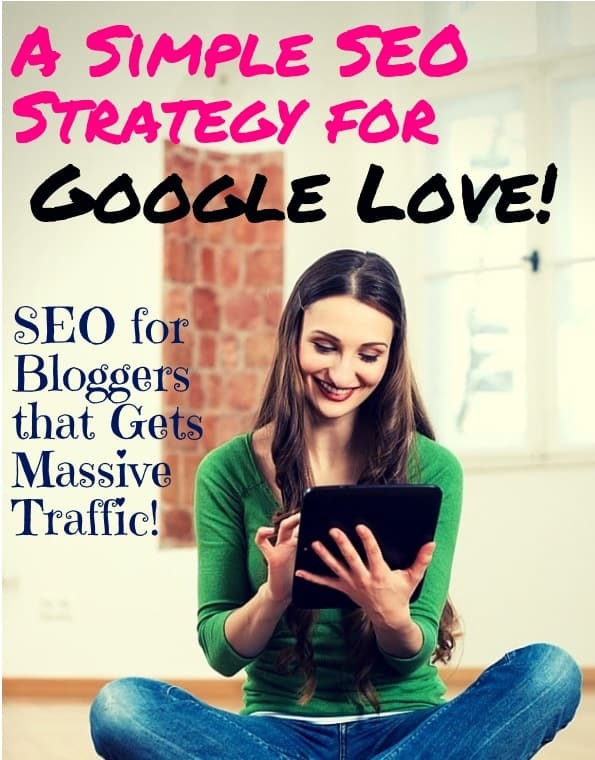 Our third SEO strategy for bloggers is either easier or more difficult, I haven’t decided which. Guest posting is simply asking another blogger or website if you can post an article on their site with a couple of links back to your blog. I’m undecided whether it’s easier or more difficult because, on the one hand, the process is much simpler. Most bloggers are open to letting other legit bloggers share a guest post so it’s pretty easy to get the OK on these. On the other hand, writing a quality guest post is going to take a couple of hours. Now I’m going to show you how to get a couple high-quality links in each guest post and it’s definitely worth it but that’s still just two links in a couple of hours. Compare that with broken link-building where you can get dozens of links over that maybe five hour process even if it’s a little more complicated. Either way, guest posting is a great way to increase your Google rankings plus get the word out about your blog so it’s going to be an instant traffic boost so let’s go over how to make it work for you. Your success in guest posting all starts with how you contact the other bloggers. One of the best things you can do for your blogging business is to find an active and engaged group on Facebook or somewhere online. I’m talking about looking for a group of bloggers in your niche so money bloggers, or tech bloggers, whatever your niche. Then just like we saw in our social media strategy, start engaging, ask and answer questions and be a resource. It’s great if you can find a group built around an annual conference so you can meet all these people face-to-face but even a strictly virtual group will work. You know, beyond the five great SEO strategies here, if there is one thing you get from the video, I want it to be this. Find a group of bloggers you can connect with like this. These people are going to be your support system, they’re going to be a constant resource for advice and motivation. As a blogger, these are your people and they’re a critical piece to making your blogging business successful. Anyway, after a few weeks of really interacting with a group, you’re going to be able to reach out to ask if you can guest post on other blogs. Since you have that relationship, they know who you are and that you’re a legit blogger, you’ll get a lot more yesses than you will no’s or non-responses to your emails. In my guest post emails, I usually try suggesting three topics or titles for guest posts. Now there are two things here. First is that obviously you want to be suggesting something related to their blog topic so take a look at what they usually talk about. Also though, you’re going to want to reference two of your blog posts in this article. Second, pages you want to get a link to and boost that Google authority because remember, Google ranks pages not websites. So you want to suggest topics in which you can fit these two references naturally into the content. For example, for my Work from Home blog if I wanted to get links to a couple of posts about social media strategy, I wouldn’t suggest guest post topics about investing? I’d have a hard time trying to naturally refer to an article about social media strategy in an article about investing. Instead, I’d want to suggest related topics like using Facebook or getting blog traffic maybe. You’ve got the go-ahead to write a guest post. Understand now that these are your blogging friends and you want to provide a high-quality guest post, not just because it’s going to mean a better link to your site but because you’d expect the same from them. 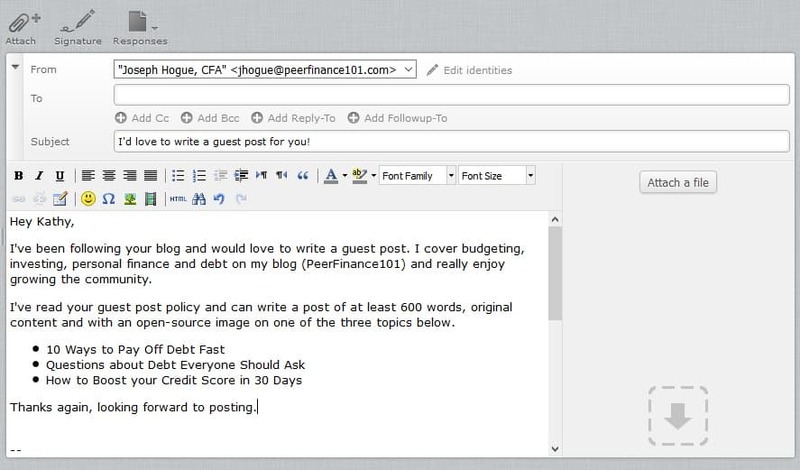 Guest posts generally need to be at least 1,000 words and quality, well-written information. One trick I usually like using is to reference one of their articles in the introduction. Basically you look for one of their posts that fits with the guest post theme and reference it early. This little ego boost for them shows that you’re reading their blog and ties your post together with their content. Now it used to be that guest posts included a few sentences about the author at the end and included a link back to your home page. These were never great links and now they’re next to worthless. What we want instead is in-content links, so links back to your site that are within the actual content of the post. Since you’re writing up the post, you can control this. You just find two places within the content where a reference to your posts fit naturally. I wouldn’t try linking more than two of your posts because that can start looking spammy but most bloggers will allow you two links within the post. When your guest post is published, make sure you share it out on your social channels just like you would one of your own posts. Also make sure you respond to any comments or questions on the post. 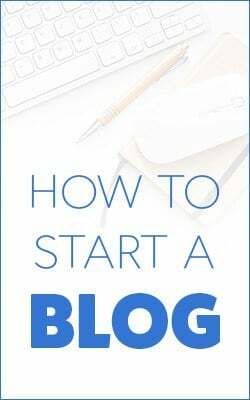 This is going to help keep that relationship with the other blogger solid and will get you more guest posts in the future. So we’ve covered those three amazing SEO techniques, two for building those links and one to create that stellar content that people feel compelled to share. Now I’m going to give you two more must-know SEO strategies but these are going to be something you can do right on your own website. The first one is something I’ve talked about before on the channel and one that bloggers are constantly asking me about because it always drives huge traffic spikes for anyone that uses it. 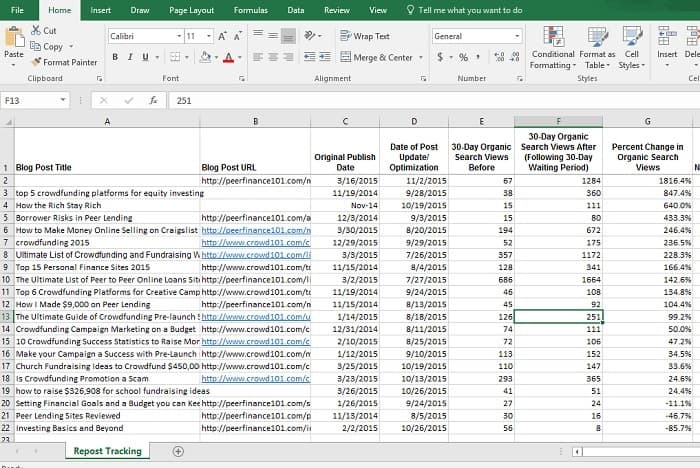 In fact, I did a screen print of the spreadsheet I use to track these and this one SEO trick delivered an average 246% increase in visitors. That’s almost a three-times increase in the pages I’ve tried this on with one post getting 18-times the traffic. I’m talking about republishing old posts and whether you’ve heard about this one or not, I guarantee there are some parts of my process that will be new and will help you boost search traffic to your blog. Once you’ve published an article on your blog, you can do one of two things with it if you want to make changes. Making your changes in WordPress and clicking Update will change the post but will keep the previous publication date and the post will be archived somewhere in the basement of your blog. Your other option is to republish the blog post as a new article by clicking Edit and changing the date to current. You actually want to change the date to a few minutes into the future before you hit publish but we’ll get into why pretty soon. When you republish a post, it becomes a new post on your site. The date changes and it rockets to the front of your blogroll for everyone to see. Since the majority of blog traffic is new visitors and most find your site through search, it’s likely a new post for anyone but your most die-hard readers. And there are a few reasons why this SEO technique works so well and how I see that 246% increase in website traffic. First is because, and this is something I’ll show you as we walk through it, you’re going to be updating that post with some targeted information to help you rank. You already have an idea for how Google is ranking the post so instead of having to start from scratch on a post, you know exactly what to add to boost your ranking. There’s also the fact that Google loves new content. While it’s true that older posts are often ranked higher, that’s only because they have those links and authority already built up. But Google actually has what’s called freshness deserves favor part of its program where a newer post with all the same signals will beat out an older post in ranking. So when you republish, Google sees your post as new but with all those links that you’ve built up and it can really kick it higher in search. So let’s look at that process for republishing a post and technically you could just change the date and hit publish without changing anything but I’m going to reveal how I do it for that boost to blog visitors as well as a way that’s going to make you more money. First is to pick a post you want to republish and you can either just pick one from your blog or find a good candidate from your Google Search Console data. I like Search Console data because you can pick a post that is doing well for some keywords but could get a lot more traffic if you improved it just a little. Here I went to the Google Search Console for one of my sites and then to how my pages are ranking. After that, I went into a page here on real estate investing and am looking at the actual keywords for which it ranks on Google. This is your resource for seeing how a page ranks and some ideas on new information to include in the post. For example, I see here that the post is ranking for passive real estate income and passive income from rental property. If I don’t have a specific section in the post for these two ideas, it’s something I can add to improve my search ranking for that specific keyword. Having this information for how Google sees your post, you can do a little more research for things to add. This is something we talked about in that second video, my Google strategy that makes writing easy, but essentially you’re typing those keywords into Google to see what comes up. You’re looking at those “People Also Asked” questions and maybe clicking through a couple of the top results to see what they’re talking about. This is going to be enough to add a couple more sections of content to the post, really beef it up with more information. As you’re going back to add content to the post, you’re also adding more on-page SEO signals that we’ll talk about in the last section of this video. We’re talking about adding section headings with your keywords in it, adding images and other SEO tricks so make sure you stick around to that last section here. The best part about republishing, even more than that huge spike in blog traffic is that it’s going to help you make more money from your blog. We write a lot of posts as bloggers and don’t always know which ones are going to be successful or get much traffic. So sometimes you don’t always monetize a post very well by putting in affiliate links or links to your products. Republishing gives you the opportunity to go back through those posts that are really doing well, really getting good traffic, and finding ways to make more money. This means adding a paragraph or two about an affiliate or maybe a link to one of your own products. My top ten posts across four blogs account for 67% of my total traffic so you better believe I want to go back through those to make sure they’re making as much money as possible. So you’ve added additional content to your post and maybe included an affiliate link or at least a link to your email magnet. The actual republishing is the easy part. You just click on the date it was published in your WordPress editor and change it to when you want the post to publish again. There’s an important note here, you want to set it to republish no more than a couple of minutes from the current time. Understand that while that post is sitting in the queue waiting to be published, it’s not going to be live. That’s going to be a broken page, a 404. So if it’s sitting there unpublished for more than a few minutes, maybe people see the broken link or maybe Google sees it. It’s not a problem, just schedule the post to republish in a couple of minutes. It gives it enough time to go into the queue and then republish as a new article. You also DO NOT want to change the URL link for the post. This is that internet address for the post and where all your links from other websites are pointing. This is the signal for all that Google ranking for the post so you don’t want to break that. Once the post is published, share it out on social just like you would a new post. For most republished posts, you’ll start to see higher traffic from search within the first week. Next, and this is something that I hinted at in the second video of our new blogger tutorials wanted to save the detail for this video as an on-page SEO technique. So we know that Google uses those links to your page as a sign of authority for ranking but how does it know exactly what your post is about? After all, Google is smart but it’s still just a machine. The way we tell Google where to rank our posts, how we get the search engine used 3.5 billion times a day to rank our pages for this keyword rather than another is through On-Page SEO for each post. This is where you’re telling Google exactly the keywords you want the post to rank for, targeting those keywords that are high-traffic and low-competition. Estimates are that Google uses as many as 200 factors when it decides how to rank a page in search, whether that page shows up in the first ten results or buried where it will never be seen. Some of these factors will be the links we’ve been building in this video but many are also things Google looks for right on your page so these are things you can directly control. So let’s look at a list of ways to create each post so it triggers as many of these factors as possible. First is that your main keyword phrase should be in the title and URL of the post. You can change the URL to the post by going to the permalink and removing any extra words that aren’t targeted. You also want to change your entire blog permalink structure to SEO-friendly URLs. This means not having dates and other things in the address for each post, just your main blog name, slash and the post name. Be careful with this though, if you’ve already got posts with the date in them then you’ll need to redirect these if you change your permalink settings. Next you want to break up your posts into sections, manageable chunks of two or three paragraphs. This not only makes it easier to read but you will make your section headings as H2 tags which are just formatting signals to Google that this heading describes the section. It’s not enough that these are bolded, they actually have to be changed to that heading format in your post editor. Another factor is just writing long, detailed posts. SerpIQ actually did a study on the top ten search results in Google and found that they had an average length of over 2,000 words. Now there are a couple intuitive reasons why longer posts would drift to the top of Google search. Being detailed means you’ve got more chances to rank for different keywords which is going to get more traffic and more links. It also means you’re going in-depth into a topic that that’s just naturally going to get more links from other bloggers as a reference. You also want to use relevant images and graphs in your posts. This doesn’t mean stuffing in a bunch of generic images but I like to aim for an image every 500 words or so. Again, not only to break up the reading on a huge post but also to add something visually and to give Google these signals. For each image, you want to describe it in the alt-tag section and add a caption that includes keywords you want to target. In your introduction and closing to the post, so within about the first and last hundred words, use the keyword and related keywords a couple times. This is a big signal to Google because you’d think that any article talking about a specific keyword would have it come naturally in an introduction and a summary. One signal many bloggers neglect is outbound links. This is where you’re referencing something on another website that’s related to the topic. You don’t have to go crazy here with lots of links but at least one link to an authoritative site like a news site or maybe Wikipedia will help Google understand what your post is about and that you’re really trying to provide quality information to your readers. One note on outbound links though is you don’t want to link to a page that looks like it may be targeting the same keyword as you are with your post. For example, in a post about making money blogging I might link to a Wikipedia page about SEO as a quality reference but I wouldn’t want to link to something about making money blogging. You also want to include at least a few links to other posts on your own website. These can be references to related posts or even calls-to-action for what you want visitors to read next. This is not only a good relevance signal to Google but it also helps the bots find their way around your blog, seeing and ranking every page. One important point about keywords that we really haven’t talked about yet is the idea of Latent-Semantic Indexing or LSI which is just a technical term for similar keywords. For example if my main keyword I’m trying to rank for a post is increase website traffic then similar keywords might be; grow a blog or boost website traffic or increase blog visitors. Google watches for these similar keywords in your post because you would expect them to show up naturally in a post about increasing website traffic, right? It used to be that bloggers could just stuff a post with the main keyword, repeating it as many times as possible to trick Google into ranking it for that keyword. Google got wise to the practice so now it looks for these similar keywords as a signal of legit content that is naturally-written. That doesn’t mean spending an hour plugging in lots of similar keywords everywhere. If you’re writing a good article then you’ll probably use them naturally but it doesn’t hurt to go back through your article and sprinkle a few instances in your section headings and throughout the content. If you want a quick checklist to getting started blogging, everything we’ll be talking about in the series, click here and download your copy FREE! Don’t forget to subscribe to the channel because our next video is the one everyone has been waiting for, how to turn all of this into a pile of cash. I’ll be sharing the exact income sources that have helped me grow my blogging business to a six-figure payday.